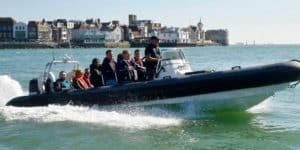 We can create a "historic" stag or hen party with an amazing powerboat (RIB) trip to one of the many amazing Solent locations!. Onboard RIBs Limited, can provide your group of family / friends with the exclusive private use of one of our exciting vessels. 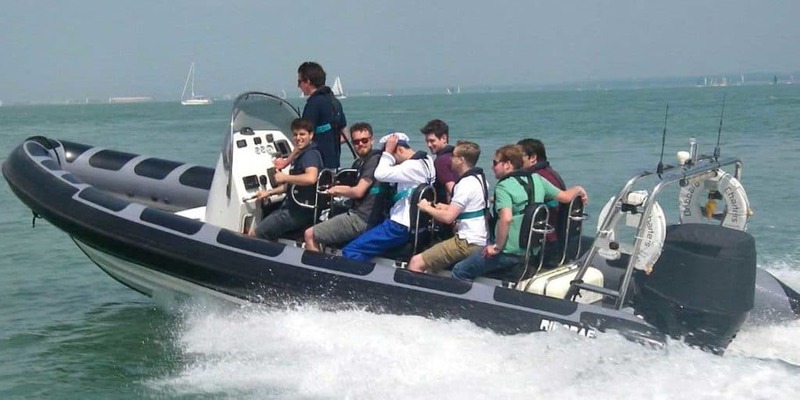 Ideal for Teambuilding and Incentives, for companies and large groups. 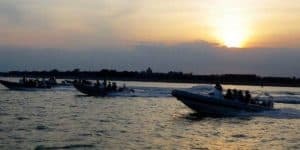 Our experienced and qualified skippers will give you an exciting, safe, affordable ride! 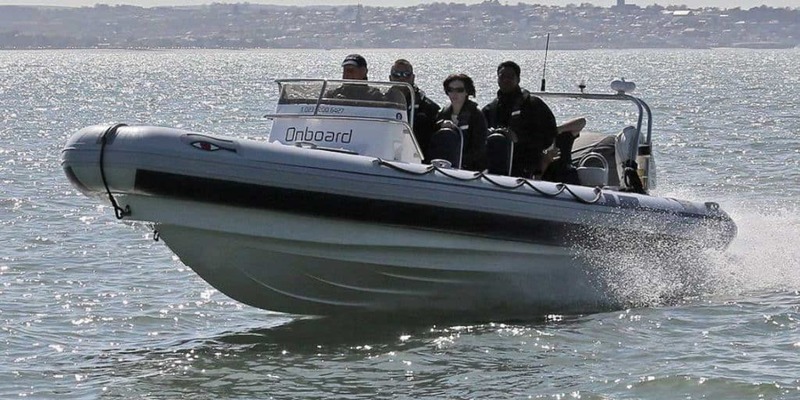 If you require work boats for your commercial / business photo-shoot or filming requirement. 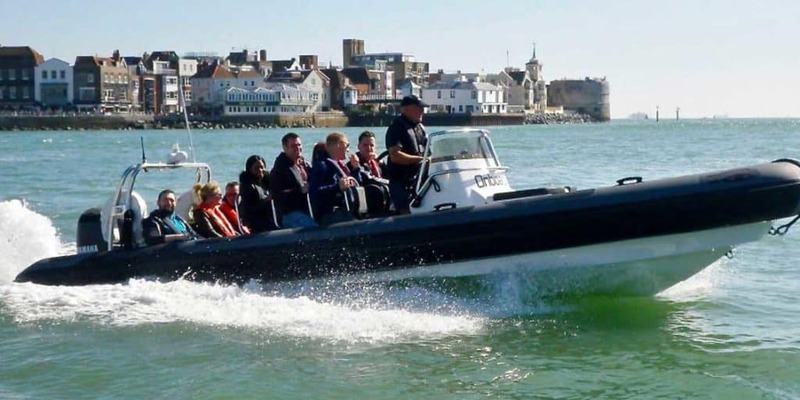 As well as being probably the best leisure location on the South Coast, Onboard RIBs Limited provide a range of exciting powerboat rides and experiences, from a short 20 minute blast, 45 minutes or 60 minute RIB rides, and our popular 3 hour lunchtime excursions across to Cowes on the Isle of Wight. We also operate private and corporate RIB charters, all departing from the amazing waterside outlet development at Gunwharf Quays, in Portsmouth. 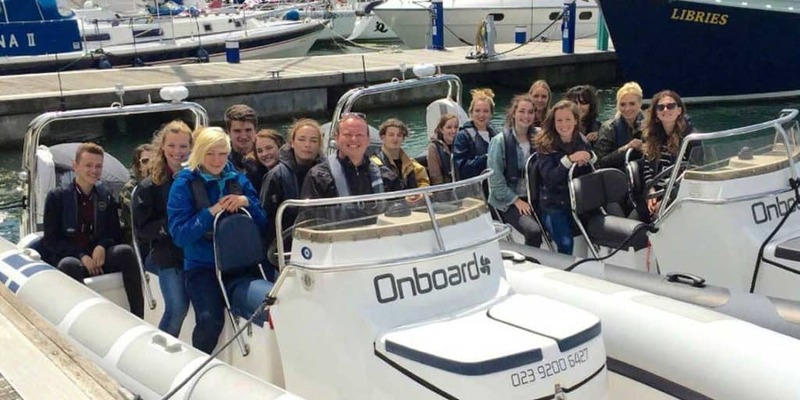 Our experienced & qualified skippers provide you with an exciting, yet safe & affordable ride suitable for everyone of all ages ! 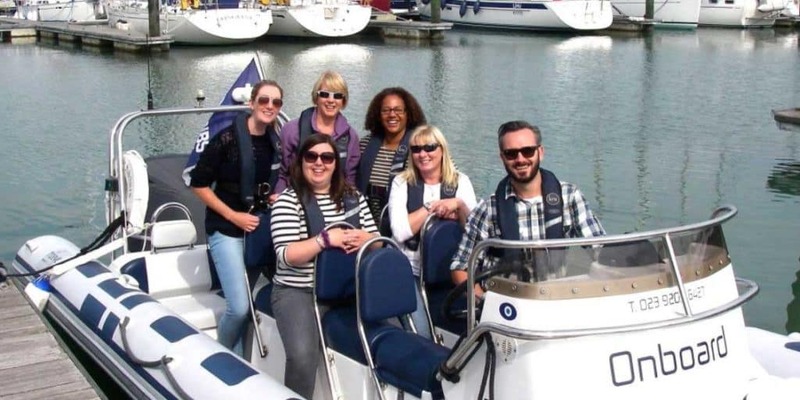 Booking in advance is always recommended, but you’re welcome to call at our kiosk on the waterfront at Gunwharf Quays to ask if there’s any availability. Spend your time powering through the scenic waters of the Solent visiting the numerous attractions and exciting locations only the Solent offers. 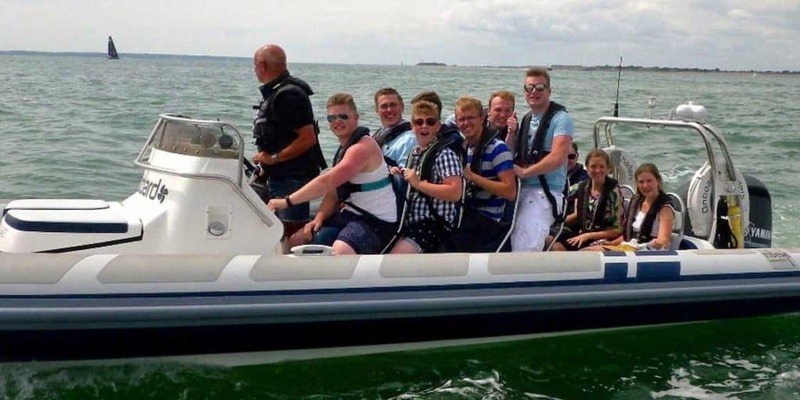 Onboard RIBs Limited provide stag group trips that offer that "better and wetter" experience, breaking the old routines of paintballing, clay shooting and quad biking! 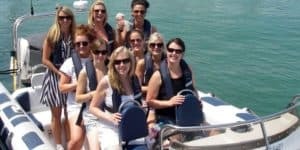 Forget the traditional Hen party join us for an amazing time on the water with a high-speed blast across the Solent. 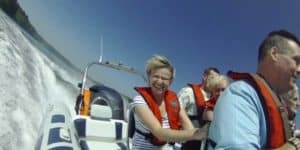 Most importantly, because Onboard RIBs Limited will ensure you'll have the maximum enjoyment on the water. 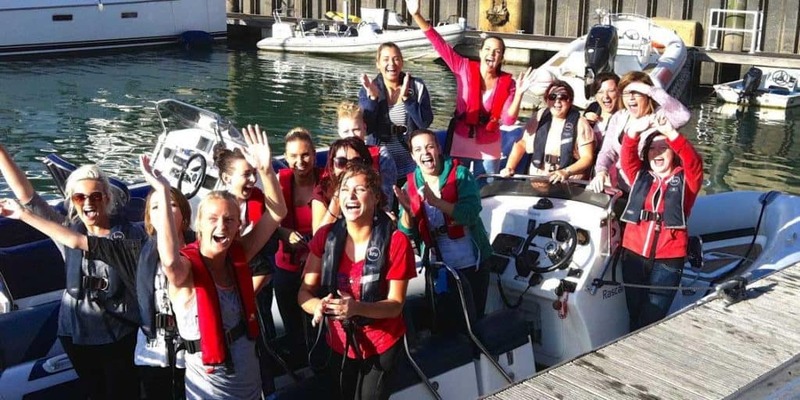 Powerboat charters can be the perfect medium for corporate events and team building exercises too. 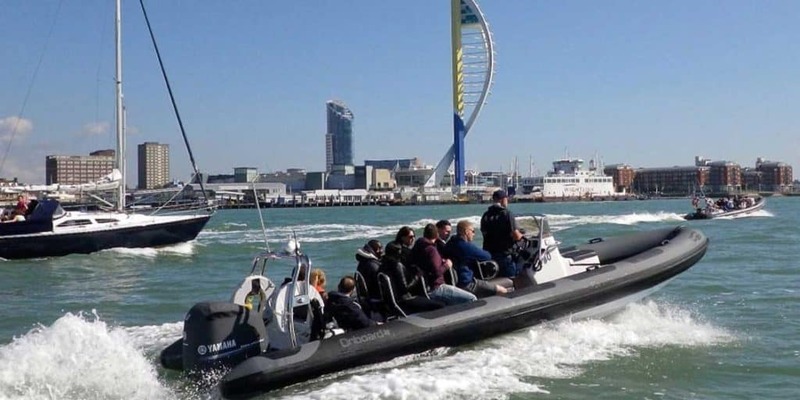 Join us in the dockyard for our 'specific' historical themed Powerboat Rides' out to see the Mary Rose Wreck site, and the Historic Solent Forts. Booking in advance is advisable, or you can call at the sales kiosk at the top of the slipway to buy your ticket just after the entrance to Portsmouth Historic Dockyard. 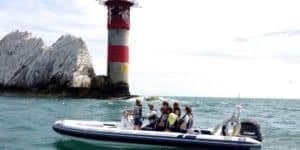 35 mins fast RIB tour around the amazing Solent Forts. 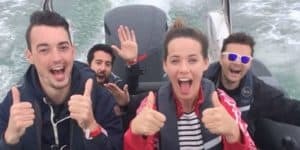 - So close you can 'almost touch' them...! 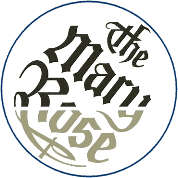 Extend your Mary Rose Experience. 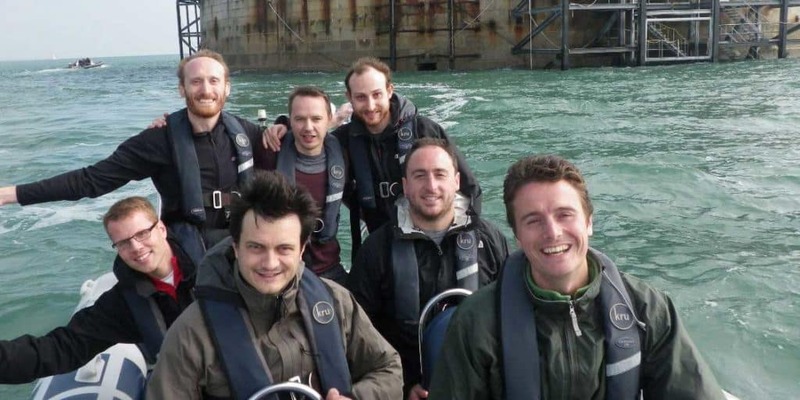 Come out with us and see where King Henry VIII's famous ship went down. 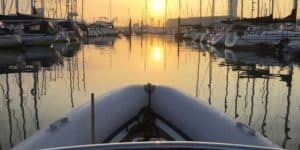 Trip includes a 20 min fast blast . Our experienced & qualified skippers will give you an exciting, safe, affordable ride which is suitable for everyone!. Booking in advance is recommended, but you can always call at the kiosk on the waterfront at Gunwharf Quays on the day to ask if there is availability. Onboard RIBs Limited can provide you with the exclusive and private use of one of our AMAZING 8.0m RIBS for either a half-day, or full-day charter. Spend time powering through the scenic waters of the Solent and visit the varied and attractive locations it offers. We can cater for between 6 to 50 people on identical vessels, all under the constant care of our expert skippers. 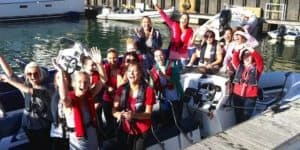 These trips are ideal for family celebrations, stag and hen parties, special days out, and corporate, team building event days. 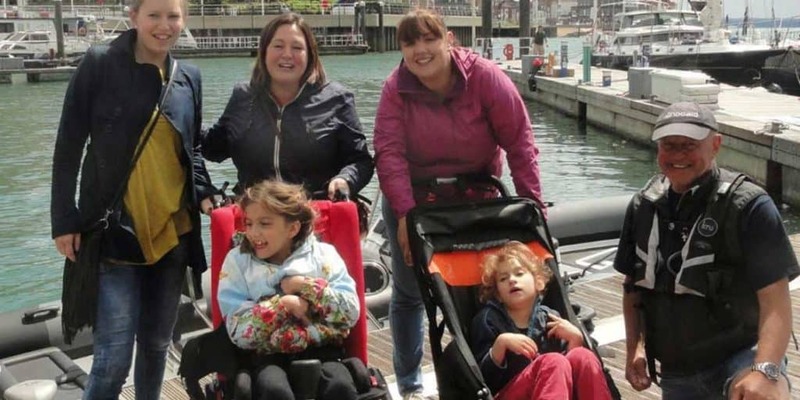 Tell us what you have in mind and if it's possible, we'll make it happen. 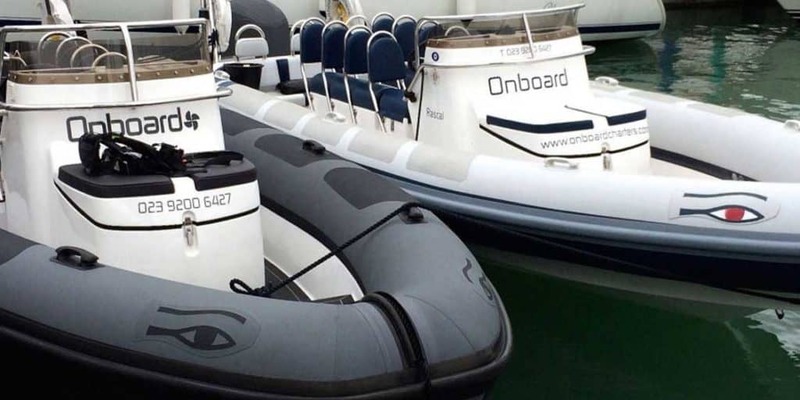 Onboard RIBs Limited guarantee to provide the exciting day you're looking for. 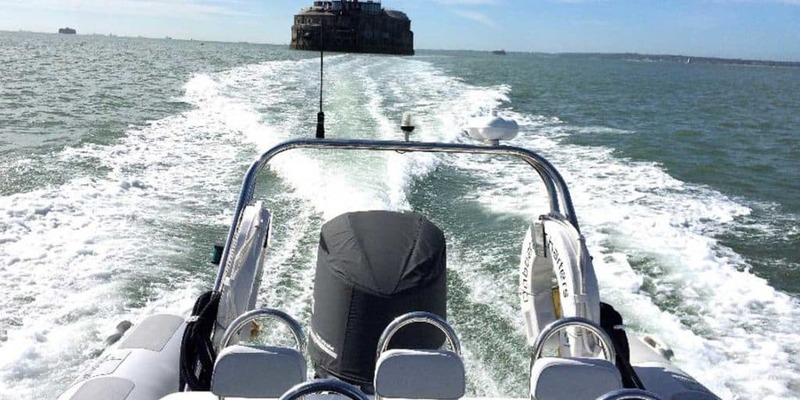 Spend your time powering through the scenic waters of the Solent, visiting the numerous attractive and exciting locations only the Solent offers. 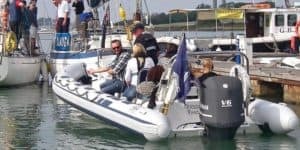 We can cater for between 5 and 50 people on identical new vessels, under the care & guidance of our qualified and expert skippers. We can cater from 5 to 50 people on identical new vessels, in the care of our qualified expert skippers. We are also a team of highly experienced, fully qualified commercial skippers, most are also RYA powerboat instructors. 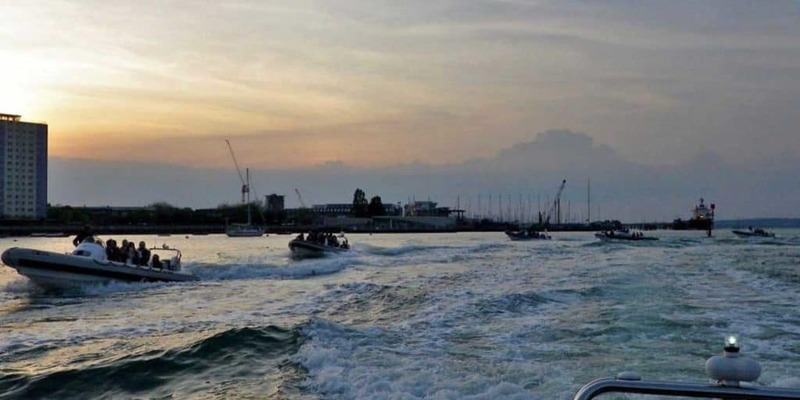 We all have without exception, thousands of hours commercial experience within our operational area, in all sea conditions (including night-time passages). 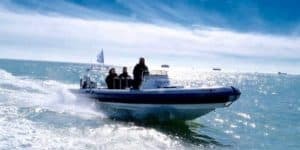 If you require work boats for your commercial / business photo-shoot or filming requirement, we operate MCA (Maritime and Coastguard Agency) coded 8.0 m RIBs from our home berths in Portsmouth but we can road - trailer to other locations from London to Ramsgate, Dover and West Country. If you require ariel shots or video footage of your event, we can supply CAA certificated drone operators, and fully professional drones equipped with the latest technology, to capture those visual images you need. Onboard RIBs Limited can provide you with the exclusive and corporate use of one of our five exciting, powerful 8.0m RIBS for half-day & full-day charters.Ideal for Teambuilding events, Corporate Incentives, unwinding after Meetings or promotional events and product launches. Tell us what you have in mind and if it's possible, we'll make it happen. So you need to organize a party? 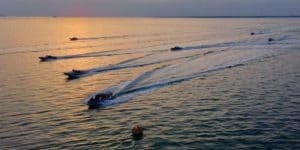 We have the answer! Find yourself needing to organize a Stag / Hen‘ party ? We have the answer! 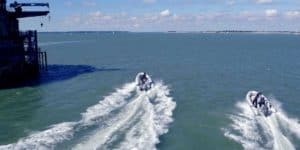 We provide high speed fun out on the Solent, with waterside drinks/ lunch breaks in some fantastic locations on the Isle of Wight. 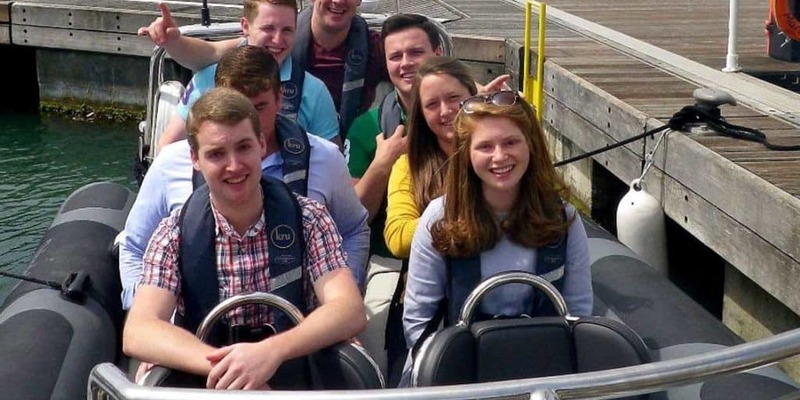 If you're a large group we provide multiple RIBs (for up to 50) and we can arrange for pre-booked restaurant tables at the most exciting Solent waterside locations. 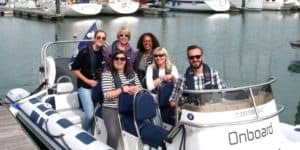 We’ve been arranging these events for 10 years, so have some consistently popular itineraries and venues, so let our skippers provide you with an event that will be remembered for years ! 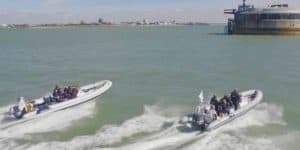 We're proud to have a prestigious repeat client list which includes multi-national corporations, National Ocean Racing teams and TV broadcasters. We're frequently commissioned by TV and media companies for both Solent and cross-channel marine TV and film projects. Our experienced & qualified skippers will give you an exciting, safe, affordable ride which is suitable for everyone! 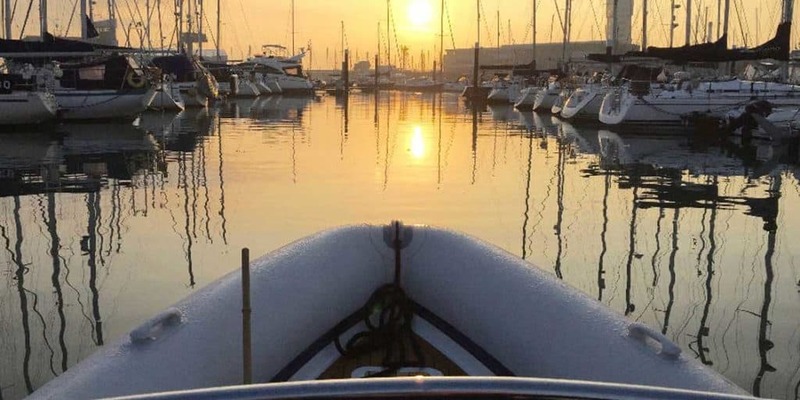 Booking in advance is recommended, but you can always call at the kiosk on the waterfront at Gunwharf Quays on the day to ask if there is availability. 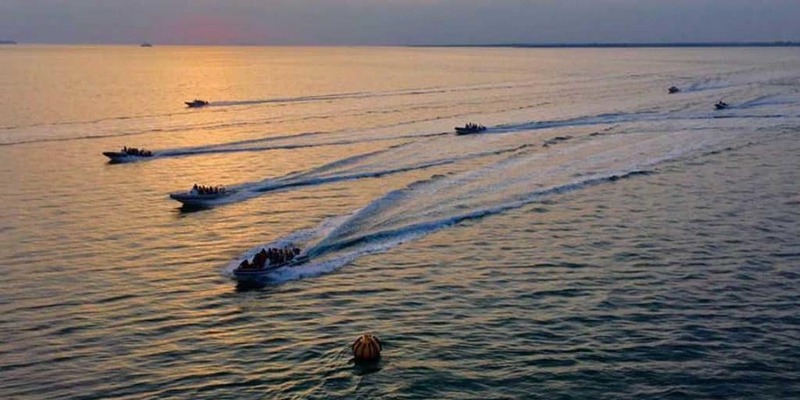 An Exciting, Safe & family-affordable RIB ride. 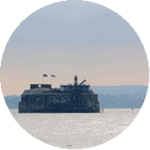 If you need to visit us at the office or for postal correspondence, please use our head office address. 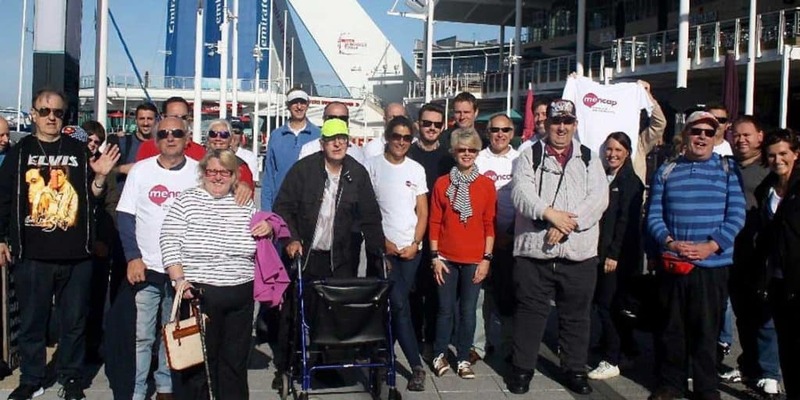 Our rib ride operations and departure kiosk are located on the waterfront above the Marina at Gunwharf Quays, shopping development. 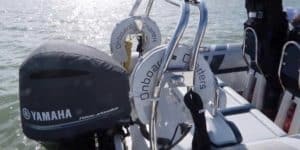 The kiosk is adjacent to the Marina entrance on overlooking the Marina and directly opposite "All Bar One" bar and restaurant. 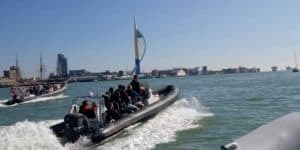 It's approximately a two minute walk from the central Gunwharf Quays car park, and five minutes walk from Portsmouth Harbour railway station. Portsmouth Harbour train station, The Hard Bus Interchange, the Gosport Ferry and Wightlink passenger ferry terminal are only 5 minutes walk from Gunwharf Quays, and a short drive takes you to the Isle of Wight Car Ferry terminal. 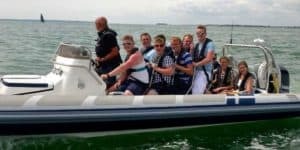 If you would like to talk to us personally to book you experience please call the number above. Or contact us using this form. This helps us stop spam and ensures your enquiry is dealt with quickly. 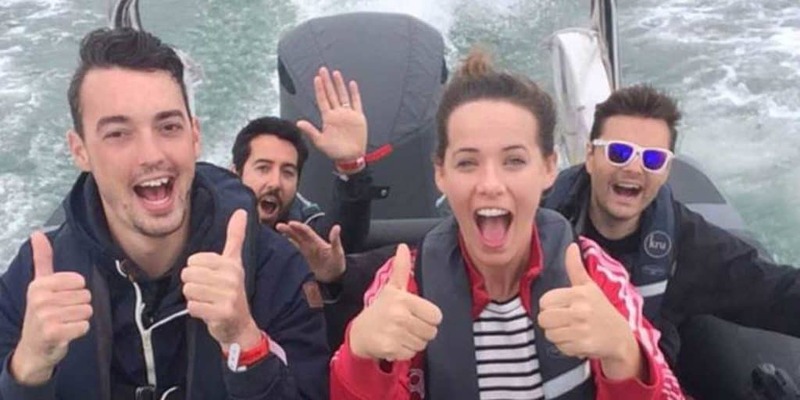 All enquiries are dealt with confidentially and we do not share your data with any other company. All our rib ride operations and our departure kiosk are located on the waterfront above the Marina at Gunwharf Quays, shopping development.